Wood you like to go to arc? There are always tons of beautiful furniture pieces when you walk into an arc thrift store. If there are imperfections or cosmetic issues you might wonder whether or not you should buy a piece. I’m a big believer that as long as you have a great piece of furniture to start with, you can always paint/fix/tweak whatever is needed. Wood furniture can be the easiest to spruce up. A lot of times all a piece needs is a bit of a restoration or minor repair around the edges. When I get a new piece of wood furniture from arc, my first step is always to clean it. 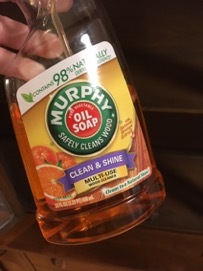 I use a special soap made just for wood that won’t dry it out. 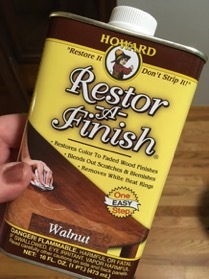 The next product I use is Restor-A-Finish. It comes in different stains and it’s like a refresh for your wood. You rub it onto the furniture like you would a stain and it helps darken any light spots that have occurred because of bumps or scrapes. There are a variety of tints based on the kind of wood you are working with. It doesn’t make them invisible but it definitely makes them far less noticeable. The final product that I use is Feed-N-Wax. It’s by the same makers as the Restor-A-Finish and the two are meant to be used together. 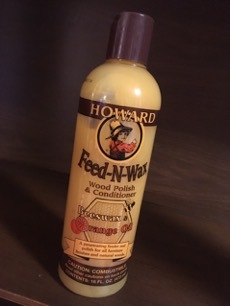 The Feed-N-Wax moisturizes the wood and shines it up so that it glows. 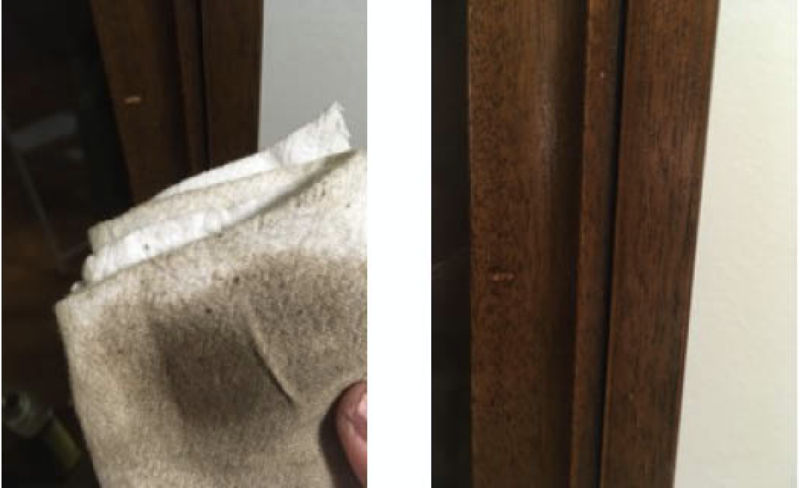 You buff it on and wait a bit and then wipe off any remainder with a rag. 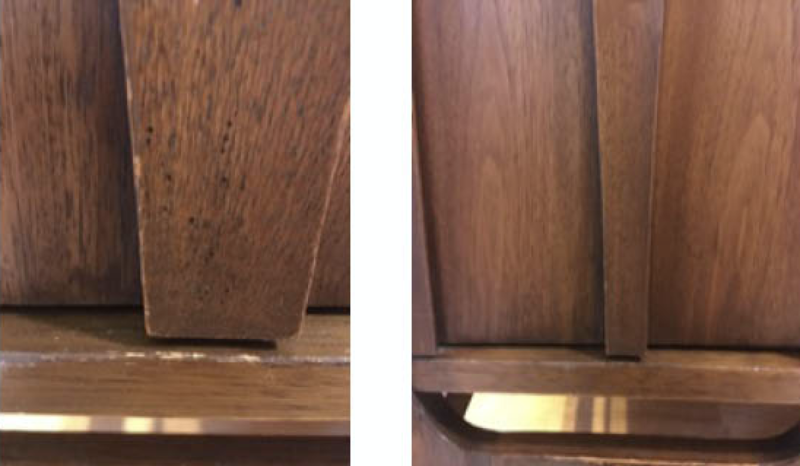 You can see in the pictures below how the scratches are less noticeable from left to right, in the wood that’s gone through all three steps. 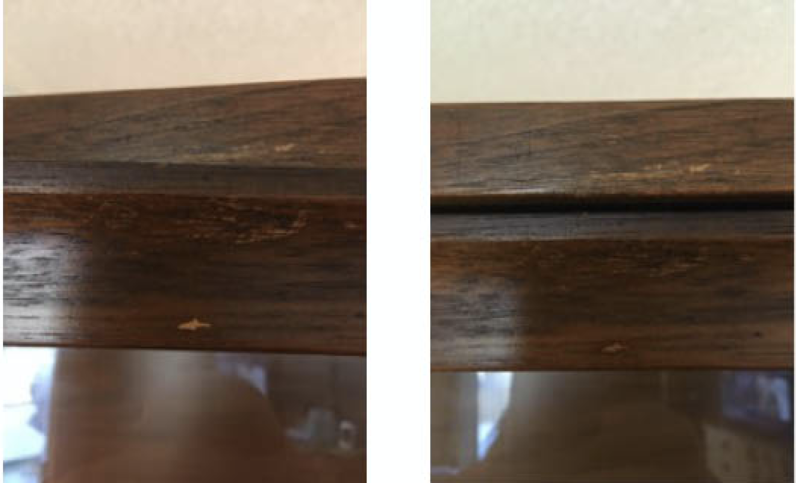 It really helps with wear along the edges of a piece of furniture due to normal use and transport. 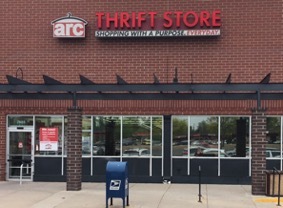 Needless to say, you should not let a few scratches or a little bit of damage deter you from buying a great piece of furniture from arc thrift. I found my favorite piece at an arc thrift store and it cleaned up beautifully for my home.